Snow For SE NM Mon-Heavy Snow Mtn's & E/NE Plains. 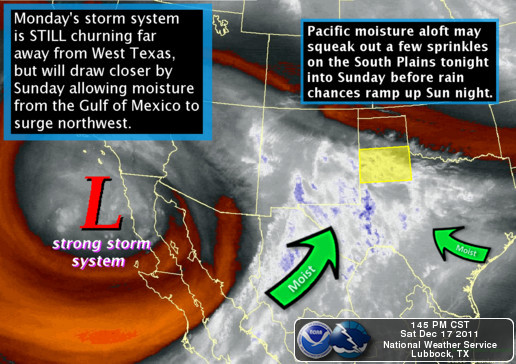 "A large upper level storm system just west of the northern Baja Peninsula today will head east Sunday, then move over southeast New Mexico Monday. Cool to mild, and moist, conditions ahead of this upper system will set the stage for a very good chance of rain across the region Sunday night and Monday. 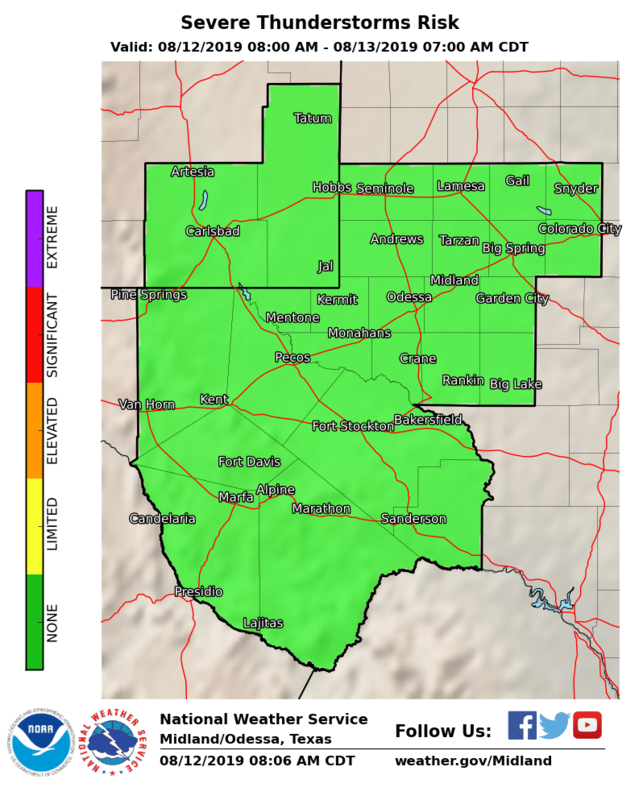 Isolated thunderstorms could also occur with the passage of the upper low which will allow for rainfall amounts of at least 1/4 to 1/2 inch, especially along and north of Interstate 20. 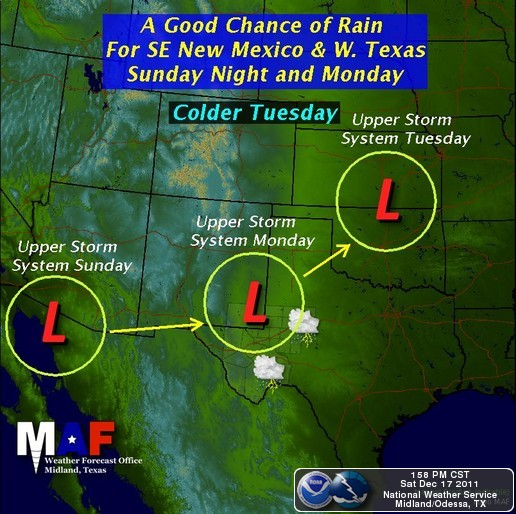 Rain will mix with snow over the Guadalupe Mountains, southeast New Mexico Plains, Upper Trans Pecos, Permian Basin and Western Low Rolling Plains Monday evening, then likely change to all snow before precipitation tapers off from west to east Monday night. 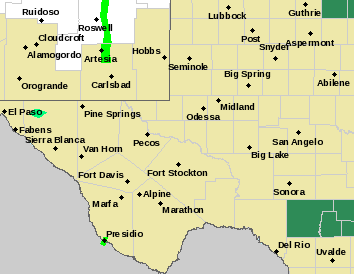 At this time, snowfall amounts of perhaps an inch or two could occur over the Guadalupe Mountains and southeast New Mexico Plains with lesser amounts further south and east. 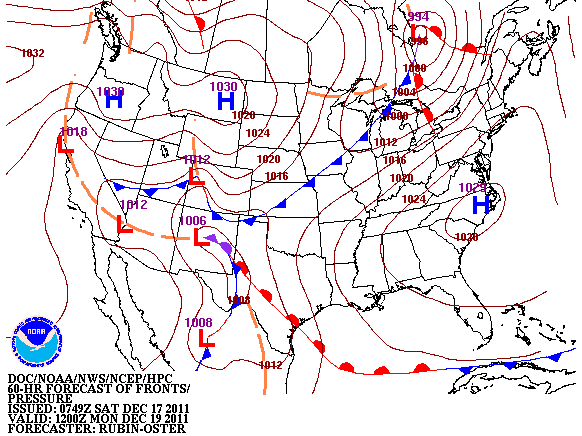 Cold air will spill south over the region Tuesday in the wake of the exiting upper level storm system." 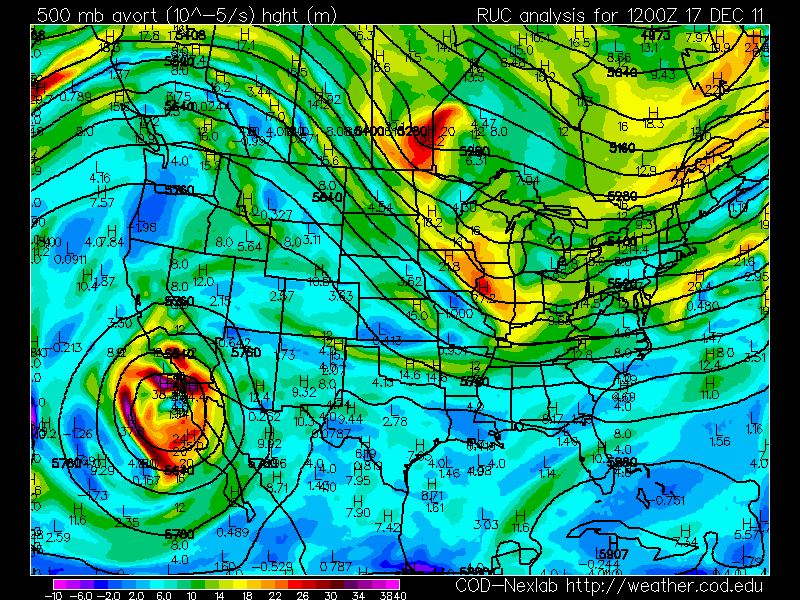 RUC 500 MB Analysis At 5 AM MST This Morning. Water Vapor Satellite Image At 7 AM MST This Morning. Blog updated at 4:37 PM MST. Impacts Of Winter Storm #1. BLIZZARD WATCH NE & E NEW MEXICO MONDAY. 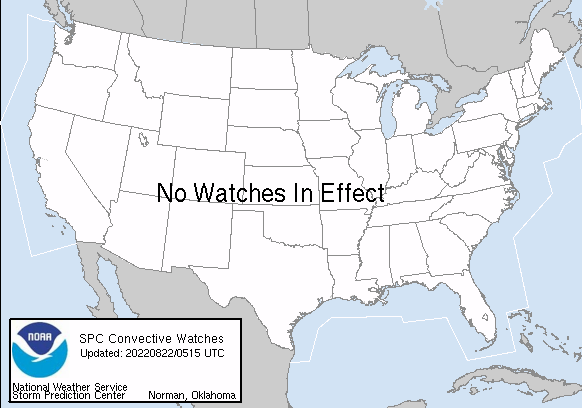 Winter Storm Watch For Chaves & Lincoln Counties. 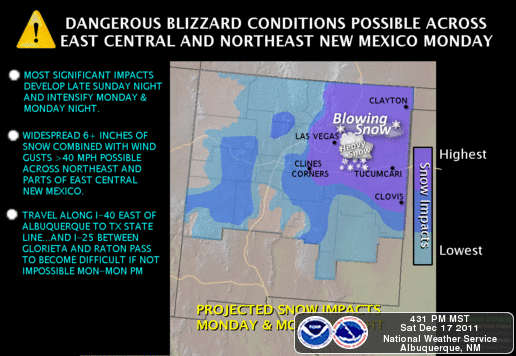 Winter Storm Watch For Otero County. Special Web Briefing From NWS El Paso. A very complex upper-level pattern will continue to affect the area today into the foreseeable future. A blocking pattern along the West Coast of the US formed a split flow in the Jet Stream that has prevailed over the past several weeks. This pattern continues so the parade of storms diving southward out of the Pacific Northwest, and then into the Desert Southwest, is forecast to continue into the Christmas weekend. This is a tough pattern to try and forecast and I'm sure there is more than one forecaster out there scratching their heads while trying to figure this mess out. Early this morning a powerful cutoff upper-level low was centered near Rosarito, in the northern Baja Region. The storm has retrograded to the west a little overnight, and has also shifted a little further to the south than yesterday's model runs were forecasting. No surprises here...I had suspected that this might happen. 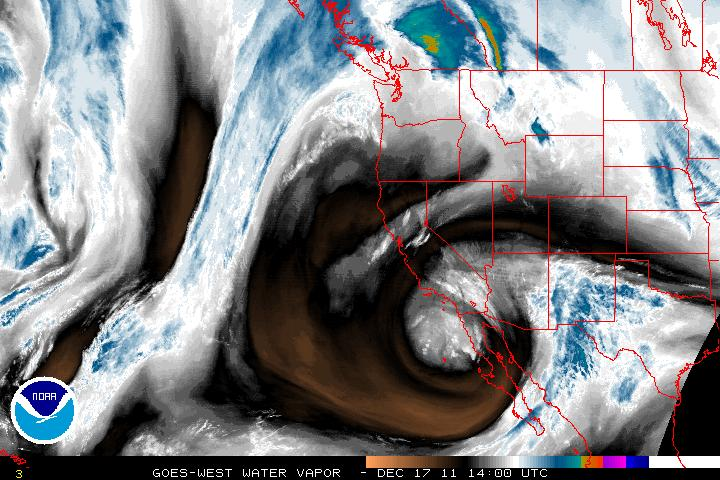 A long fetch of mid-high level subtropical moisture (see the Water Vapor Satellite image above) is streaming northeastward from off of the Pacific Ocean into the area. 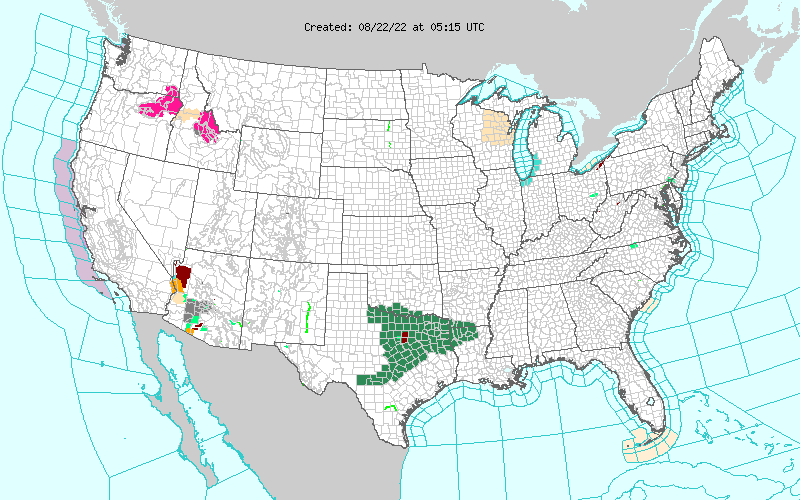 A few t-storms have been noted in the southeast quadrant of the low. Low-level southeasterly upslope flow is forecast to continue to increase the local area today into Monday. This will be enhanced along and behind a southward moving surge of arctic air Monday. 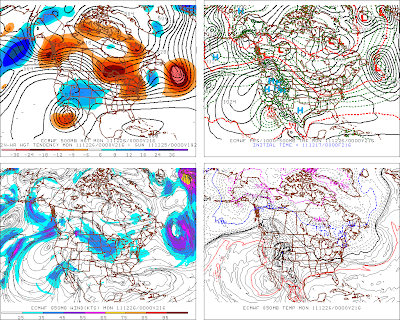 Most of the models hold the cutoff low over the Baja Region through tomorrow. 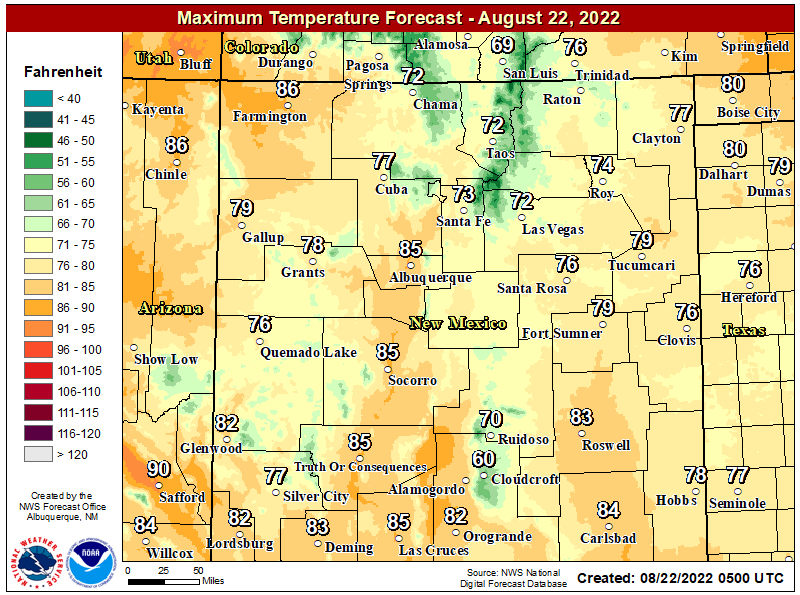 It is then forecast to begin a slow crawl eastward, and by tomorrow night it should be located near the Boot Heel of southwestern New Mexico. This storm is then forecast to be located near El Paso by sunrise Monday morning. By Monday afternoon, if current model trends are to be believed, the storm will be tracking right over the Artesia and Hobbs areas. Its a cold storm too with temperatures at about the 17,000' level (near the center of the closed low) forecast to drop down to -25C/-13F. A Potentially Dangerous Winter Storm is likely to cause some major travel headaches over parts of the state starting tomorrow night and continuing into Tuesday. 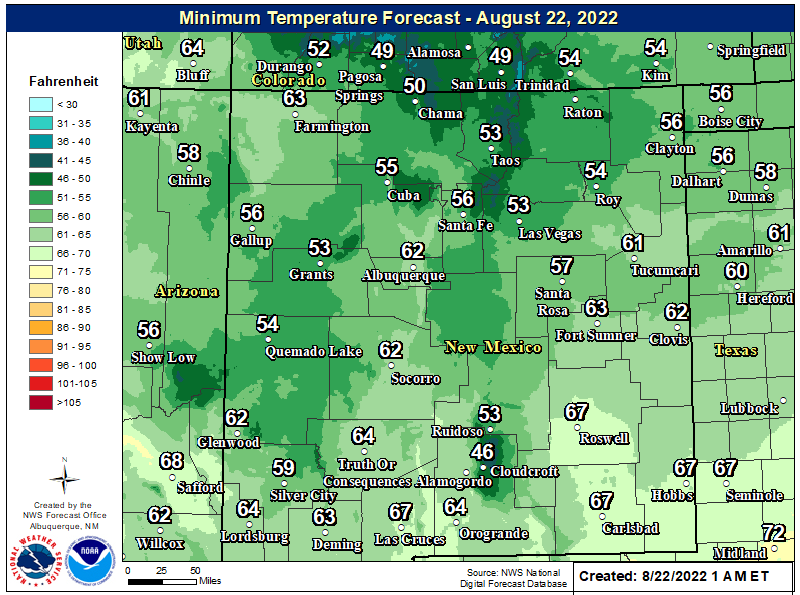 A combination of freezing fog, freezing drizzle, and freezing rain will impact northeast New Mexico first tomorrow night. Then snow, heavy at times, along with blowing and drifting snow will become the main hazards along with very dangerous road conditions. 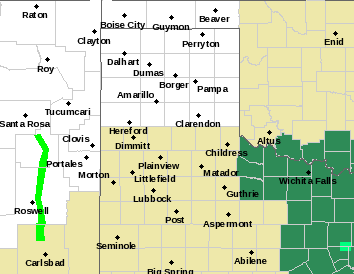 As the slug of arctic air surges south down the eastern plains of the state Sunday night into Monday...heavy snow, blowing and drifting snow is currently forecast to impact the northeastern and eastern plains of the state, along with some mountain communities. Travel headaches could impact the local area Monday into Tuesday as well, should more snow fall than currently is being forecast. 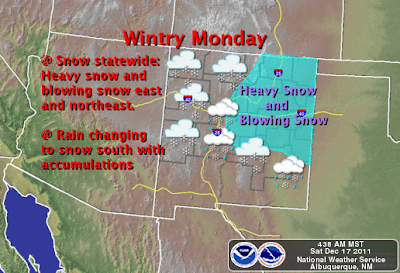 Please visit the Albuquerque National Weather Service Office web page for the latest updates on this potentially dangerous winter weather situation. 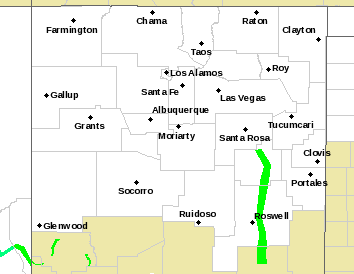 Major disruptions are going to be possible across some of the areas so please visit the New Mexico Roads web page for the latest updates on road closures across the state. 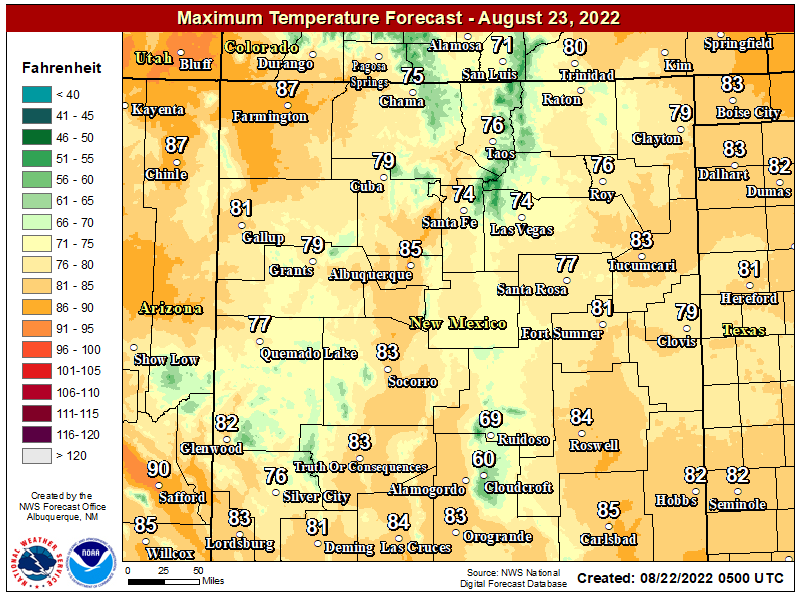 Today & Sunday Across SE NM. Cloudy skies along with cool temperatures will prevail today into Sunday. Our highs today and Sunday will be in the mid-upper 40's. A few light rain showers may develop locally this afternoon and tonight. Areas of fog and light drizzle will return tonight. Rain showers will be on the increase over the area tomorrow. 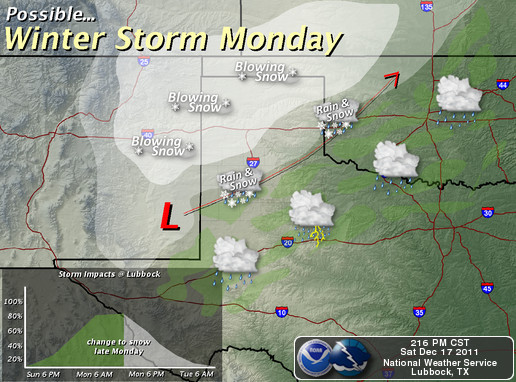 A few embedded t-storms will also be possible into Monday. Our chances for rain will increase throughout the day tomorrow, and especially tomorrow night into Monday. 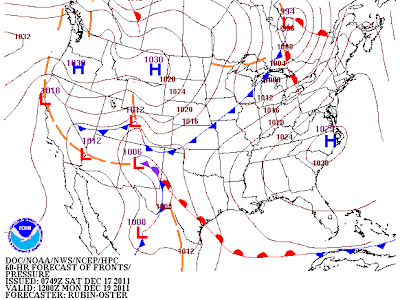 Surface Map Forecast At 5 AM MST Mon Dec 19, 2011. 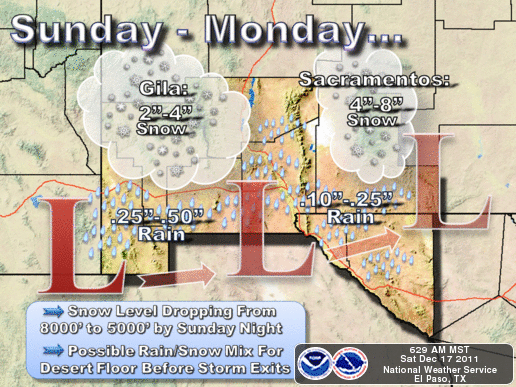 Rain may change over to snow across southeast New Mexico sometime on Monday. Just when this is going to occur is difficult to try and answer this morning. Two factors will determine if, and when this will happen. 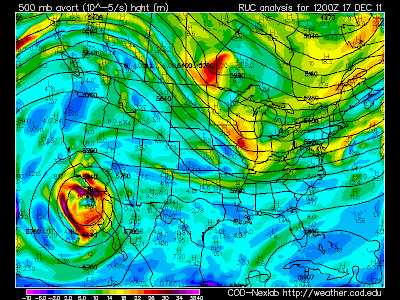 The first will be the exact track and speed of the powerful upper-level storm that will be approaching form the west. The second factor will the timing of the arrival of the colder air into southeastern New Mexico on Monday. It should also be noted that heavy bursts of sleet and snow will be possible across parts of the local area on Monday during any t-storm that may occur. 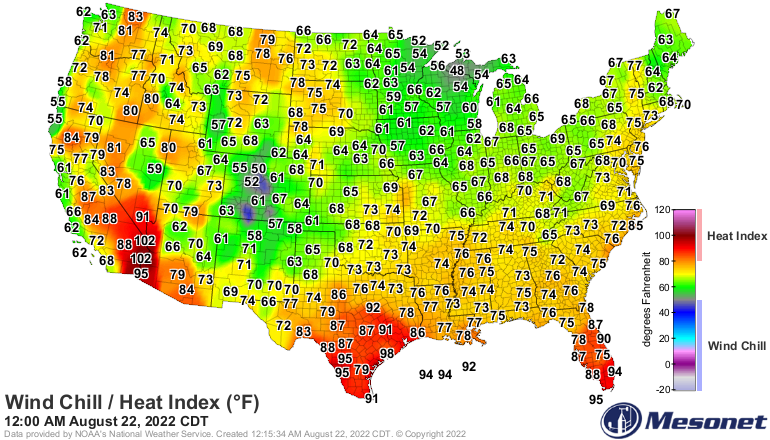 This will also be true as the cold front slides southward. Heavy snow will be possible across the Guadalupe, Sacramento, and Capitan Mountains. 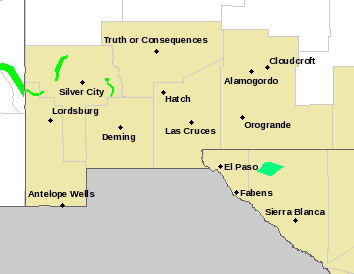 Current thinking from the El Paso National Weather Service Forecasters is that 4" - 8" of snow could fall in the Cloudcroft area. This looks like a really good setup to me, for the higher elevations of the mountains, such as Ski Apache, to receive some decent snowfall totals by the time this latest storm is done with us. A quick look at this mornings 12Z/5 AM MST models continues to indicate that no sooner than our first winter storm clears the area, a second Winter Storm will drop into the northern Baja Region by Tuesday, and may produce more wintry weather across parts of the state Wednesday and Thursday. At this time this second storm looks like it will be a little further to the south than Monday's storm...as well as a little weaker. 00Z ECMWF 500 MB Forecast At 5 PM MST Christmas. For those of you who are wishing for a White Christmas in SE NM, and nearby areas this year...that still could be a possibility. Winter Storm #3 is forecast by last nights 00Z/5 PM MST run of the European (ECMWF) model, to close over the Baja Region by Christmas Eve. Cold arctic air continues to look like it is going to keep much of the area in the deep freeze, as we close our Christmas week and head into the Christmas weekend. Please keep abreast of all of the latest details concerning this next Major Winter Storm that is forecast to impact many parts of the state into Tuesday. This is somewhat of a fluid situation which may to change as better data from the forecast models becomes available later today and tomorrow.